Mosquitoes are attracted to body heat, so, as you and your family work up a sweat, you can become more appealing to these hungry pests. OFF! 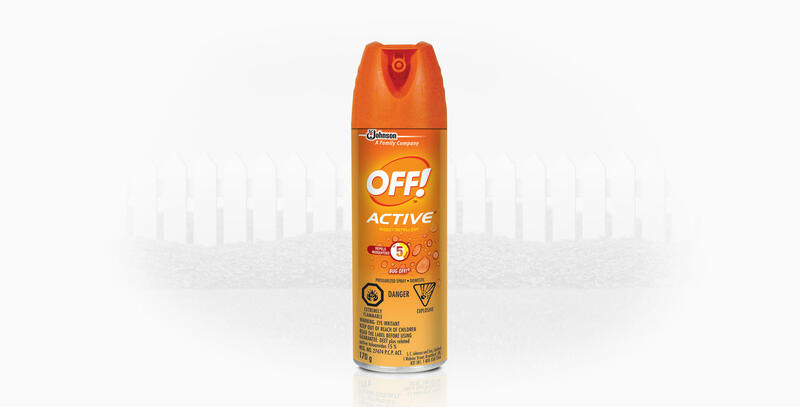 Active® products are great for giving your family on-the-go mosquito protection. 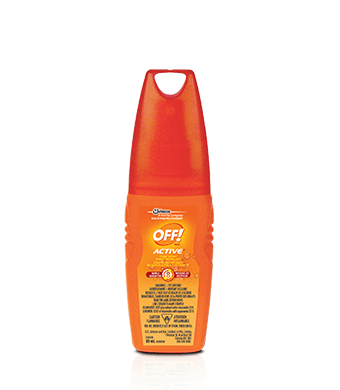 Repels mosquitoes, black flies, stable flies, ticks, chiggers, biting midges and deer flies. Apply sparingly not under clothing and only when necessary. Reapply after 5 hours if necessary. When container is empty, press valve to release all remaining pressure. Discard empty container in household garbage. DO NOT USE ON CHILDREN UNDER 12 YEARS OF AGE. Causes eye irritation. DO NOT get in eyes. Avoid contact with eyes and mouth. Avoid contact with rayon, dynel, acetate, or plants. May damage furniture finishes, plastics, and painted surfaces. CONTENTS UNDER PRESSURE. Do not place in hot water or near radiators, stoves, or other sources of heat. Do not puncture or incinerate container or store at temperatures over 50°C. Keep away from open flame or spark.